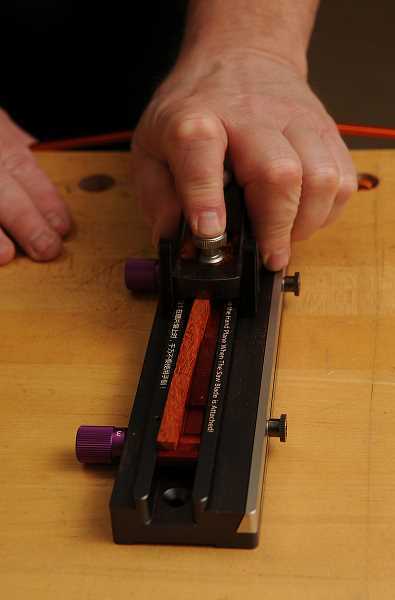 Check out this article from the Lake Oswego Review all about Chopstick Master by Bridge City Tool Works. STAFF PHOTOS: VERN UYETAKE – John Economaki shows his Chopstick Master, a simple handtool that allows people to make perfect chopsticks, even if it is their first time to use the tool. 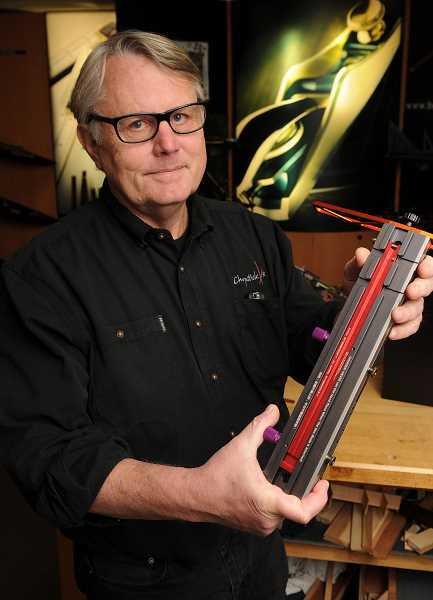 John Economaki has been designing tools for his company, Bridge City Tool Works, for more than 30 years and while they receive rave reviews by users, nothing prepared him for the reception of his latest tool, the Chopstick Master. “I was a furniture maker until the wood dust got to me,” he said. “From my experience, I had the innate ability to know what tools woodworkers would want.” His tool company, Bridge City Tool Works, makes high-quality tools intended to last for generations and has clients around the globe. When a customer in China wanted to create a little buzz at a trade show Economaki suggested they make chopsticks. He then set about creating a tool that would turn out perfect chopsticks in a minimal amount of time. “It started out as a bit of a joke,” he said. “Show the Chinese how to make chopsticks? We set up a station at the tradeshow, and we were inundated — it just went crazy!” After the tradeshow, he made a few tweaks to the tool and took it to a second tradeshow in Taiwan, receiving the same overwhelming response. The Chopstick Master enables anybody regardless of experience to make a pair of flawless chopsticks in 15 minutes or less. Each chopstick begins as a 270-millimeter-by-7-millimeter square blank and when completed is a gracefully tapered and perfectly proportioned chopstick that is square and transitions to an octagonal tip. Because it is cut with a block plane, the finish is as smooth as you can make wood. Making chopsticks is fun and adds to the dining experience. The Chopstick Master is a professional tool with an all-metal base, intended to last for generations. Each kit comes with enough blanks to make 10 pairs of chopsticks. The chopsticks can be painted, airbrushed, gilded, lacquered and embellished in other ways to make truly unique utensils. The Chopstick Master is available for preorder with delivery in 2016. To learn more, visit bridgecitytools.com. Contact Barb Randall at 503-636-1281 ext. 100 or email brandall@lakeoswegoreview.com. Using a simple back and forth motion, the wood is transformed into a perfect chopstick quickly and easily. Sturdily built of metal, the tool is designed to last for generations, as are all Bridge City Tool Works.